Starting this week, you can now read the data that is in these columns. 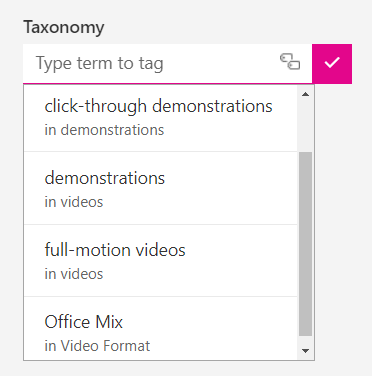 You will get a few different properties for each Taxonomy column: Label, Path, TermGuid, Value and WssId. If you are displaying the result of the field, such as in an email, you'll likely want to use the Label property. On the other hand, if you want the unique identifier of the item, use the Value field. This allows you to select a particular value to always use when the item is created. On the other hand, you can also choose to use the output from another item by selecting the Value property of that item. 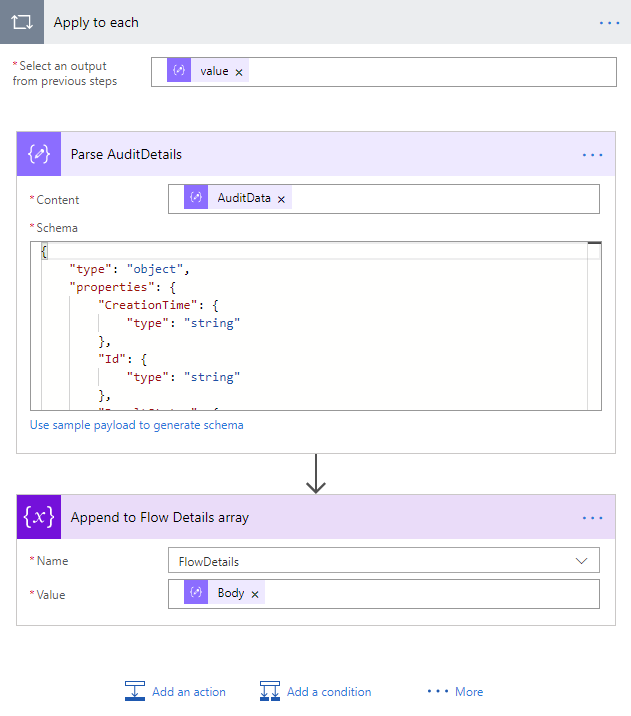 The next feature that is now available is to append items to array variables – meaning adding a new value to the end of the list. This is most useful inside an Apply to each, where you can continue adding new items into the array each time the loop runs. To use this action, you'll first need to initialize the array variable outside of the loop. Then, just search for Append to array variable, and you can choose whatever value you want to add to the end of that list. 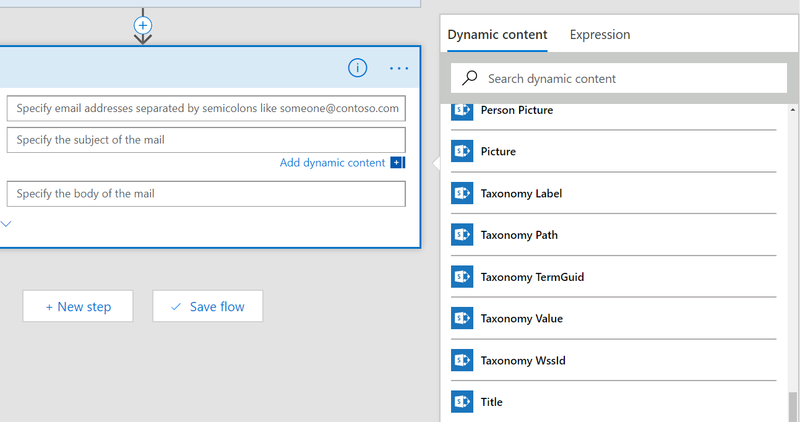 To see a good example of how this can be useful, read Kent's blog post from earlier today about Accessing Office 365 Security & Compliance Center Logs from Microsoft Flow. We have one new connector available this week: Tago. 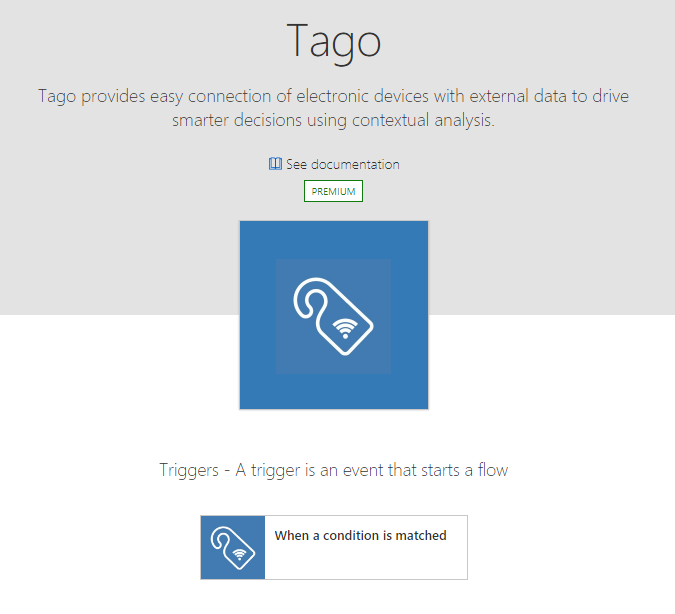 Tago provides easy connection of electronic devices with external data to drive smarter decisions using contextual analysis. We have updated the Flow app for iOS to be optimized for the iPhone X. We also made some improvements with buttons triggered from the phone: when you provide an image as an input for a button, you don't have to wait in the app for the image to be uploaded.